The life insurance industry will grow at over 25 percent this year, according to the Insurance Association of Vietnam (IAV). In a report released this week, the association said last year the life insurance market performed well, earning revenues of nearly VND116 trillion (US$5 billion). Of this, VND88 trillion ($3.8 billion) was from premium income, an increase of 33 percent, and the remaining VND28 trillion ($1.2 billion) was from proprietary investment, a 30 percent rise, the association said. “Life insurers’ financial capacity improved with total assets rising 25 percent to VND302 trillion ($13 billion)” Duc said. The total provision made last year by companies was nearly VND220 trillion ($9.5 billion), up 30 percent, he said. Life insurers settled claims of more than VND 18.6 trillion ($800 million) in 2018, up 17 percent, he said. The industry is making a great contribution to the economy, supplementing long-term investment in the economy last year by VND 276 trillion ($11.9 billion), a 33 percent increase. 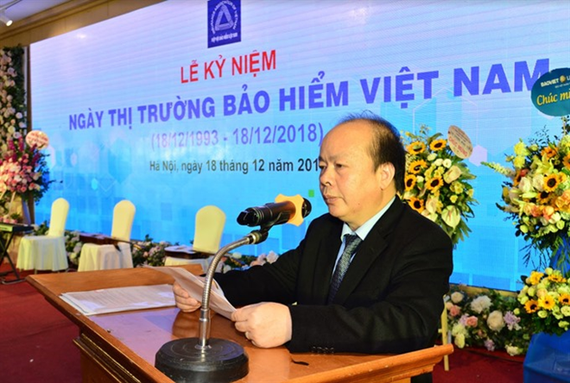 At a ceremony to mark the 25th Vietnam Insurance Day and 19th anniversary of the Insurance Association of Vietnam in Hanoi last month, Deputy Minister of Finance Huynh Quang Hai stressed the need to raise public awareness of insurance, improve the industry’s financial capability and develop new insurance products. 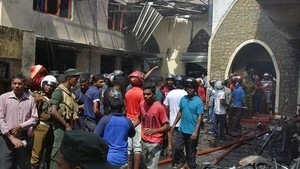 He called on the IAV and the Ministry of Finance to help draft an Insurance Business Law.